As a Utility that undertakes everything from the Generation, Transmission to Retail of Electricity in Fiji, The Energy Fiji Limited offers a range of promising roles for qualified engineers, particularly electrical, mechanical and civil engineers. Positions can be based in Suva, Kinoya or Navutu. 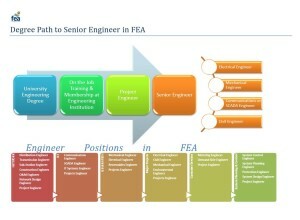 Engineers Click to view (PDF opens in new tab) the paths to become an Engineer in EFL and some of the challenging and fulfilling roles at EFL. As a Utility that undertakes everything from the Generation, Transmission to Retail of Electricity in Fiji, The Energy Fiji Limited offers a range of promising roles for qualified engineers, particularly electrical, mechanical and civil engineers. Positions can be based in Suva, Kinoya or Navutu. Click to view (PDF opens in new tab) the paths to become an Engineer in EFL and some of the challenging and fulfilling roles at EFL. Engineer Positions are advertised as they become available on our job vacancies page. 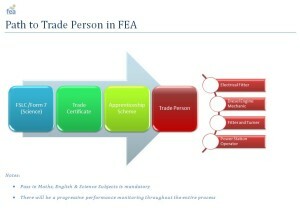 Click to view (PDF opens in new tab) the path to become a Technician or Trade Personnel in EFL. 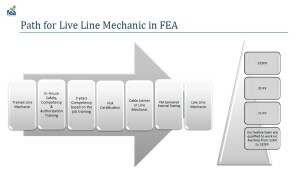 Click to view (PDF opens in new tab) the development path and requirements to become a Live Line Mechanic in in EFL. Live Line Mechanics are fully trained to carry out live line and deadline maintenance on the complete spectrum of EFL lines from 240V to 132kV lines. We’re always looking for people to join our team here at EFL – and it’s not just jobs in the field that are on offer. Click to view the progression path for our Cadet Scheme. Check out our latest vacancies and find out what it’s like to work with us.